Gone are the days of the man who regrets and the man who forgets. This is a new man-a man who has lived over 12 lives and 2,000 years, only to be reborn in a new life cycle, literally giving him a second chance on life. The BBC has just released the full trailer for the upcoming season of Doctor Who, giving Peter Capaldi full reign as the iconic role of the time lord, and the description above conveys the exact mood of what we are to see, as the Doctor realizes that he has made some poor choices in his life, and now that he has a second chance to do it all from scratch, he is going to do something about it. Whether or not something will actually come of it is to be seen. Check out the amazing trailer below. Daleks, cyborgs, dinosaurs, aliens, oh and did we mention dinosaurs? With the return of all these things, along with the return of Madam Vastra and the rest of her motley crew, we can expect great things to come from this upcoming season. Capaldi's initial casting announcement was met with the fandom split 50/50, but now that people have had a chance to let it sink in and see him in action, the 'whovian fandom' seems to have welcomed Capaldi into the role, and eagerly await his take on the 2,000 year old time lord. There have also been reports that several scripts for the upcoming season, as well as at least one unfinished episode, have been leaked to the internet. The season premieres in just over a month, so if you haven't already gone scouring the internet for these, do yourself a favor and just hold out for a few more weeks, but beware, in the words of River Song, "Spoilers...."
Doctor Who Season 8 premieres on BBC and BBC America on August 23rd, 2014. 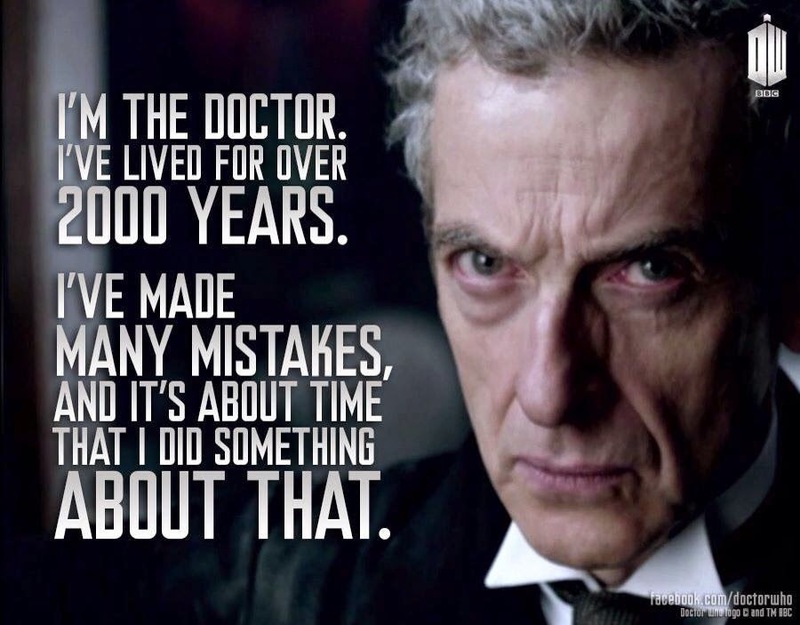 Forgive me if this is a dumb question/statement but I thought the doctor was like 900+ years old, now he is over 2000 years old? What I miss? That's actually not a dumb question, Pete. I was confused for a while myself before I figured it all out. The Doctor as we usually knew him was roughly 906 or so. Then throughout his adventures with Amy, Rory, River, and Clara, he would pop in, go on an adventure with them, disappear for a while and then come back. 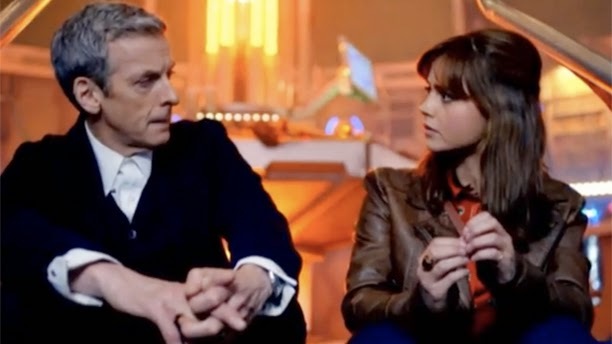 By the time we go to the 50th Anniversary special, the Doctor is about 1,200 or even longer. "How old are you now?" "Oh, I don't know. I lose track. 1,200 and something I think, unless I'm lying. I can't remember if I'm lying about my age-that's how old I am" . That's the trouble with time travel, you could be gone for years, but arrive two minutes after you've originally left and to those around you it will have seemed as though no time has passed. Then in the Christmas special, the Doctor spends his last days protecting the town of 'Christmas' on Trenzalore for virtually 800 years or so until he actually dies of old age at the ripe old age of 2,000 or so. With the 11th Doctor technically being his last regeneration, he completely spent the second half of his life protecting this small little town until he couldn't any longer. However in doing so, the Time Lords granted him his entirely new regeneration cycle. So really, he has been reborn in a sense that is far more than a mere regeneration. He is starting over, but with the memories of a man who has lived far longer than he should have. Thank you Dave, that actually makes all the sense in the world. I appreciate yer help in clarifying this for me!